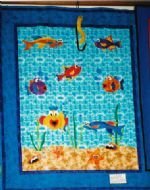 Have you made a project using a Whimsical Workshop pattern? Email us a photo and we may add it here to our "Bragging Rights" page. 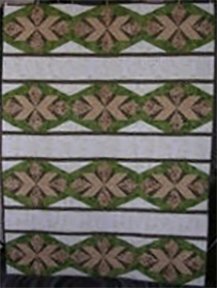 We always love to see what people have done with our patterns and how they have personalized the project. Thanks to everyone that submits a photo. border to piano keys, which looks GREAT! 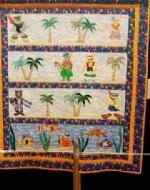 Surf's Up (Discontinued pattern)- This wonderful quilt was on display at the 2009 Arizona Quilt Guild Show. 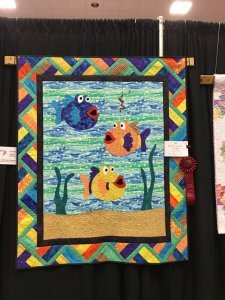 I'm Outta Here- I made the background larger on my quilt. Ballerinas - I made two ballerina quilts for my granddaughters, Morgan and Daniell. 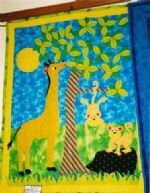 by Carol D.
Doodlebug Parade Quilt - This quilt is for Evelyn's first great grandchild which they are joyfully expecting in Late March. 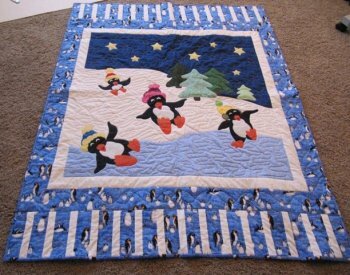 Penguin Play - Gail made this quilt for her granddaughter. 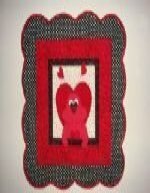 She also enlarged the pattern to a lap quilt adding an extra penguin to fill it out. 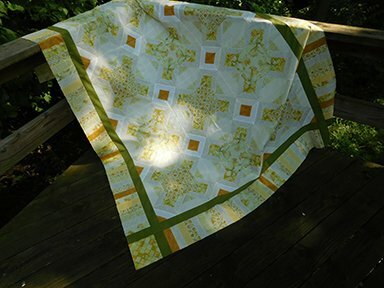 Misty Morning - Barbara changed up the color palette on this quilt she made for her brother.